Robin Williams was an American comedy legend. For more than 30 years, he kept America laughing with his standup routines, television shows, and hit movies. Last August, he tragically took his own life at his home in California. Although it’s hard to find a silver lining after a death—and especially a suicide—this instance may be a little bit different in the fact that it lends attention to Lewy body dementia. Not long ago, the results of Robin Williams’ autopsy were released, and it was revealed that Mr. Williams was suffering from a common, but under-diagnosed form of dementia, called Lewy body dementia, a serious medical condition affecting more than 1.3 million Americans. Although it’s almost unheard of, Lewy body dementia is the second most common form of dementia, falling in behind Alzheimer’s. But according to the Lewy Body Dementia Association, many medical professionals are still not familiar with this condition. Lewy body dementia is very difficult to diagnose because it can closely resemble two well-known conditions: Alzheimer’s and Parkinson’s. Lewy body dementia is an umbrella term used for two related diagnoses: Parkinson’s disease dementia and dementia with Lewy bodies. Lewy bodies are abnormal proteins that develop in nerve cells in the parts of your brain that are involved with thinking, memory, and movement. Because the symptoms are very easily confused, it’s important to get checked early and often for an appropriate diagnosis. Treatment works best when it’s integrated with different specialists and can make a big difference in the progression and impact of the disease. The early symptoms—which might not even appear until a year or two after the disease has shown up—can differ early on, but typically develop into similar cognitive, physical, and behavioral issues. Sleep also becomes a problem. 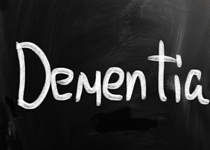 Why Is It Difficult to Diagnose Lewy Body Dementia? One of the reasons it’s so hard to diagnose is because sometimes symptoms are not consistent. The symptoms often fluctuate and can change from minute to minute, hour to hour, or day to day, so it depends on how the person is acting in front of others or a doctor at a certain time. Because of this, symptoms may not be noticeable to anybody, even a healthcare professional, for a long time. As the condition progresses, problems with memory and decision-making occur; alertness and attention can also decrease and complex hallucinations may arise. The hallucinations are not only visual, but can also include sounds and smells. These hallucinations are not frightening, but they are very real and can lead to some interesting behaviors. For example, before his death, it’s been reported that Mr. Williams was showing unusual behavior, consistent with somebody who would have been diagnosed with Lewy body dementia. Coroners said Williams was keeping a bunch of watches in a sock, and he was very concerned about the safety of the watches. That said, it’s not likely the condition caused him to kill himself. As far as preventative measures go, there really isn’t anything set in stone because the condition is so highly misunderstood. However, there are certain nutrients and lifestyle choices that might improve and protect your cognitive function. For example, a Mediterranean-style diet—high in monosaturated fats, whole grains, and fruits and vegetables—has been shown to slow down brain degeneration. I’d recommend visiting your doctor for testing once you’ve turned 50 to keep on top of things. Early detection always offers the best opportunity for meaningful treatment. Solfrizzi, V., et al., “The role of diet in cognitive decline,” National Institutes of Health web site, January 2003; http://www.ncbi.nlm.nih.gov/pubmed/12541015, last accessed November 14, 2014. Neporent, L., “Robin Williams’ Death Report Finds Lewy Body Dementia,” ABC News web site, November 12, 2014; http://abcnews.go.com/Health/robin-williams-driven-suicide-lewy-body-dementia/story?id=26860752. “What is LBD?” Lewy Body Dementia Association web site; http://www.lbda.org/category/3437/what-is-lbd.htm, last accessed November 14, 2014.